This is a game changer for animal welfare and human well-being. 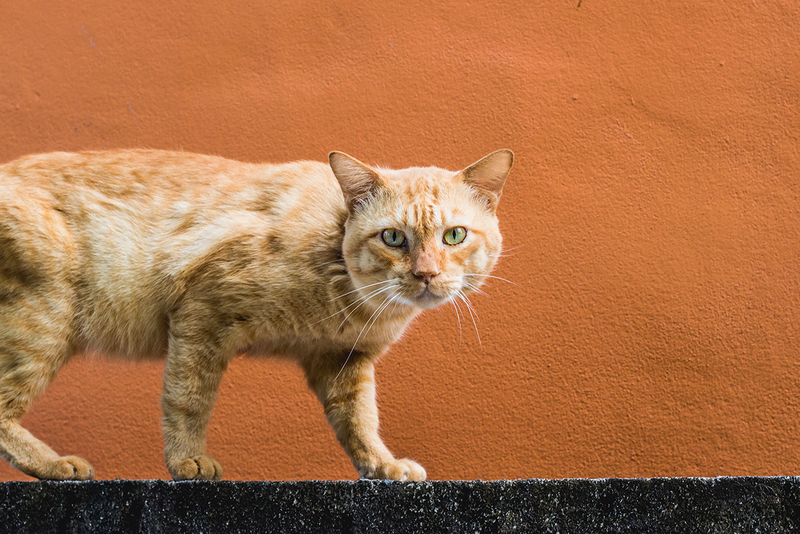 But first, let’s deep-dive into the issues facing urban stray cats. Every year, around 60,000 healthy stray cats and kittens are killed within days of entering Australia’s council pounds. But we know we can’t adopt our way out of this crisis. PetRescue has seen a huge upturn in cat adoptions over recent years. Along with cat memes, cats on the internet, cats for apartments - everything seems to be coming up cats! Yet their increasing popularity has had no discernible impact on reducing the number of cats killed in Australia’s pounds because the overwhelming majority of cats and kittens brought into pounds are unowned urban strays and flawed legislation is failing them. In most cases, stray cats are not abandoned or lost, they are unowned stray cats living happily in urban communities and getting care from animal lovers in the community. Well-meaning members of the public often believe that they are abandoned pets in need of ‘rescuing’. In fact, seeking ‘rescue’ for stray cats is the third most common enquiry we receive at PetRescue. Why is cat legislation failing the urban stray? ‘Responsible pet ownership’ has long been heralded by the government as the solution to ‘too many cats entering the pound system’. But given that the majority of cats and kittens brought into pounds are unowned urban strays, the government’s mandatory desexing laws, cat curfews, owner fines and other enforcement laws have zero impact on reducing the number of urban stray cats. What’s more, current legislation offers only two options for well-meaning members of the public who encounter urban stray cats in their communities: do nothing (and see more and more litters of kittens fill urban spaces), or ask for help from the local council pound and see the cat or kittens killed. An estimated 100,000 pets are put to their deaths in Australia’s pounds and shelters every year - around 60,000 of which are healthy and treatable stray cats and kittens. But this cyclical killing doesn’t impact the overall urban stray cat population. Cats are good breeders, so if some cats are removed and killed, litter sizes in the remaining population increase to take advantage of the extra available food resources. Taking away some cats and killing them actually equals more cats in the long run. And the endless killing is devastating - not just for the cats and kittens being killed, but for those working in councils and shelters who bear the emotional cost of carrying out the killing. Australian research shows that 50%^ of people directly involved in euthanasing animals develop a form of post-traumatic stress, leading to mental health problems, and an increased risk of suicide. So, there is a very compelling human argument for changing the way we look at managing stray cats. 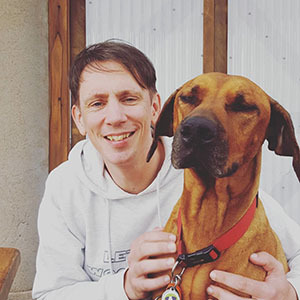 PetRescue’s aim is to see every pet in Australia safe, respected and loved, and we’re proud to be part of a groundbreaking four-year trial into humane cat management. The trial will be the first significant research looking at the advancement of cat management and welfare in Australia. This trial will see a new community-based cat management program implemented across selected low-socioeconomic suburbs located in New South Wales, Victoria, South Australia and Queensland. Urban stray cats within these communities will be desexed and, after desexing, will remain in their original location, rather than being removed and killed. It’s an approach that’s proven so successful in reducing urban stray cat populations in trials in the US, it’s rapidly gaining momentum as accepted best practice in other developed nations too. Introducing this transformational research project in Australia will determine whether a community-based cat management program will reduce stray cat numbers in our communities, reduce the killing of cats and kittens in shelters and pounds, and reduce the negative emotional impact on those carrying out the killing. This trial is run by the University of Queensland, the Australian Pet Welfare Foundation and already has buy-in from major animal welfare industry leaders, including PetRescue, Animal Welfare League Australia, RSPCA QLD, RSPCA NSW, RSPCA SA, as well as Biosecurity Queensland and other parties. The trial is underpinned by a team of researchers who are international leaders in their disciplines. Australian research shows that 82% of people would support a trial in their area, and if the trial proves to be successful, this will be the biggest life-saving game changer in Australian animal welfare in our lifetime. 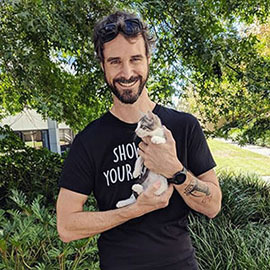 PetRescue is proud to be part of this landmark research, and we are calling on all those concerned with making Australia a safer, happier place for both cats AND people, to join us in making this groundbreaking research a reality. We are seeking funding partners and donors to support this trial and to take the first steps toward a better future for cats and those who care for them. Email us about opportunities to fund the trial. Give monthly to help make Australia a safe place for cats. Executive Director & Chief Scientist, Australian Pet Welfare Foundation.